Wowowowowow! Okay if you've been on the hunt for âif cutie-patootie and new, fresh ân shiny made sweet, sweet love,â then this darling property may just be the one! Let's start off with an absolutely awesome location, wonderfully private and yet minutes to the fun of either Utica or Rome. 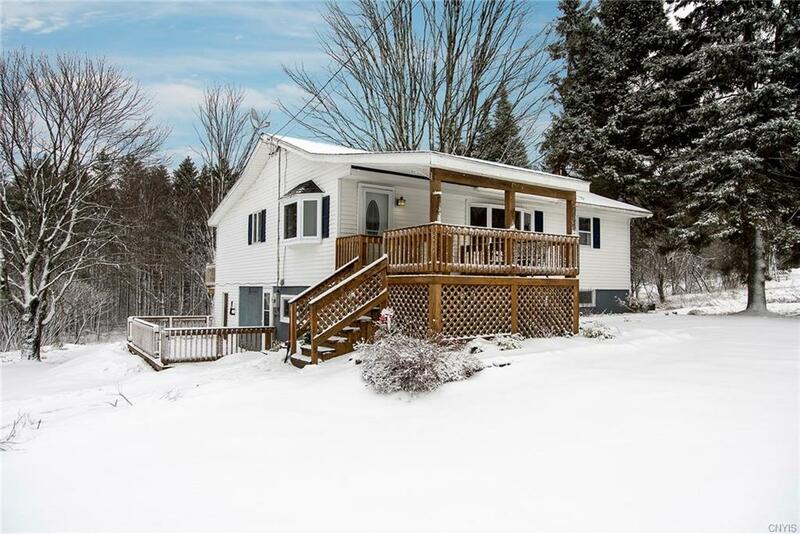 And then let's not forget that Winter may actually end, leaving you to enjoy the gorgeous wooded lot and three spacious decks. Heading inside, prepare to be impressed with the unique, sun-filled layout, beautifully refinished hardwoods, an updated kitchen with stainless, a truly stunning renovated bathroom, fully finished walkout basement and more space than meets the eye. Throw in loads of great updates, an always desireable school district and curb appeal galore, and you clearly have a winner here!